How well does Sonos One work with Alexa? 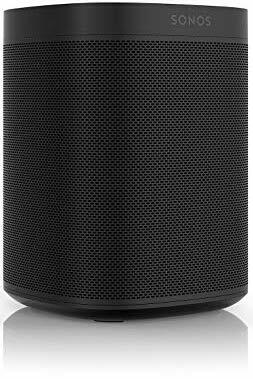 Best Answer: The Sonos One works best with Amazon Alexa, because it's fully integrated and built-in from the get-go! Think of the Sonos One as an Amazon Echo speaker, except with much better sound quality, though for double the price. You get most of Alexa's smart home controls with the Sonos One, so you won't be missing out on too much. So what Alexa things can I do with my Sonos One? The Sonos One is a smart speaker, and that's especially true if you're a fan of Amazon Alexa. The far-field microphone on the Sonos One will easily pick up your voice, even if it's from all the way across the room. Activating Alexa is the same as that on the Echo; just get it started by saying "Alexa," followed by your voice command. You can seamlessly ask Alexa on Sonos One to play your favorite artist, album, station, and more since it has Amazon Music built-in. If you have multiple Sonos Ones, you can tell Alexa to move the music to another room or you can simply tell Alexa to pause and resume, adjust the volume, or skip songs. Or you can ask Alexa on your Sonos One to check the weather, get the news, set timers, find dinner recipes, or whatever else you want thanks to Skills in the Alexa app. For those with smart home devices, use your Sonos One to tell Alexa to adjust the lights, lock the doors, make coffee, or just turn on whatever smart home gadget you want. Sonos One will always be the default speaker if you're using Amazon Alexa, so you don't have to specify it for Echo Spatial Perception. It's basically exactly like having an Echo, except it's a Sonos, which is much better for sound. That's cool! So the Sonos One does pretty much everything an Echo does? Kind of. At the moment, the Sonos One does not work with the following Amazon Alexa features: Drop In, calling, or messaging. For those who are unfamiliar, the Drop In feature turns Echo speakers into pseudo-intercoms. Drop In lets you check in on users with a voice or video call without them needing to answer. Unfortunately, since the Sonos One does not work with Alexa calling, this won't work. What other voice assistants does Sonos One work with? At the moment, Sonos One also works with Siri through Apple's new AirPlay 2 standard. Support for Google Assistant is coming by the end of 2018, but in the meantime, you'll need to use IFTTT if you want to use Google Assistant with Sonos One. The Sonos One is an excellent speaker for the price. It also comes with Alexa integration built-in, so you have nothing extra to set up. The sound quality is much better than Amazon Echo speakers, and Alexa sounds more natural than ever.